This informational guide is a great resource for administrators interested in learning more about Speak Up. 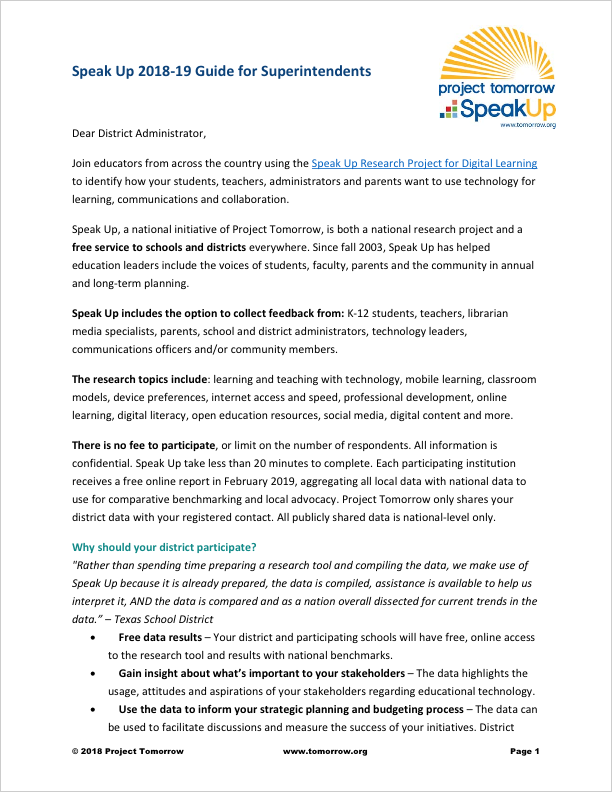 This two page guide provides background information on Speak Up, the benefits of participation, what’s included in the questions and the steps required to get your district involved. We recommend sharing this flyer with school or district administrators that are interested in participating but may not have the background information to get started.